Sparkling clean pool water is a sign of proper cleaning and pool maintenance. A common product for this purpose is HTH chlorinating granules, a grain-like chlorine material used to keep the pool sanitized and the water free of algae and bacteria. The use of this product varies, depending on the type of pool you have and the water volume. Adding the product to your pool is simple. Test the pool water with a testing kit to determine the levels of pH and chlorine. The test kits come with a series of vials that you fill with pool water and colored chemicals that are added to the water in droplets. The resulting water color is read on a color scale to determine chemical levels in the pool water. Adjust the pH of the water if necessary. Wait 48 hours after adding pH plus or minus stabilizers before adding the HTH sanitizing chlorine granules. Test the water again after 48 hours to check chlorine levels, if stabilizer was used. If no pH adjustment was necessary, you can add the sanitizer immediately after initial testing. Broadcast HTH chlorinating granules in the deepest end of the pool while the water is circulating in the late afternoon or evening. Measure the HTH granules to maintain chlorine levels according to the level you already have on the test kit. Optimum chlorine levels in a standard pool range between 1-4 ppm. 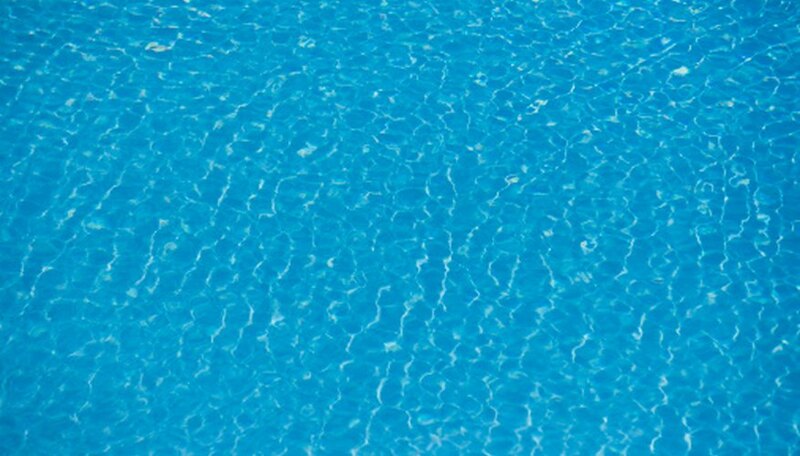 Dosage is based on the amount of water the pool holds. If you have a 500 gallon pop-up style pool, the dosage is 0.2 to 0.3 oz for a stabilized pool, and 0.4 to 0.6 oz for an unstabilized pool. Consult the label for the exact number of ounces to add, based on your pool size. Use the scoop provided in the large granule container, or the distribution lid provided on small containers, to collect and broadcast the granules. Always wash hands thoroughly after using HTH chlorinating granules. Do not broadcast in strong wind or adverse conditions where the granules can blow into unwanted areas. If granules settle to the bottom, use the pool brush to stir them into the water. Allow granules to dissolve and re-test the water to check the new chlorine level.